Taaffeite gems were first discovered by Richard Taaffe in October 1945. 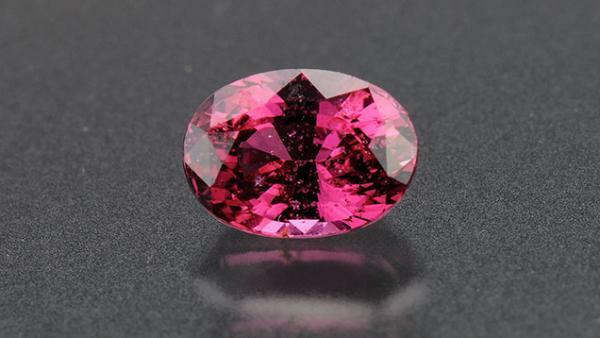 The taaffeite gemstone is a beautiful stone which varies in colour from mauve, purple to red. When brought, cut and polished, by Taaffe in a local shop in Dublin, Ireland, taaffeite gems were the only gems to be identified as a faceted stone and not mislabelled as spinel, like many other stones. Much like then, taaffeite is still only found in a select few locations around the world, making it one of the rarest gemstone minerals in the world. Taaffe originally had brought several different types of precious stones from the jeweller in October 1945. Taaffe noticed that there were some inconsistencies between the taaffeite gem and the other spinel’s. After seeing this Taaffe sent a selection of the gems to B.W.Anderson of the Laboratory of London Chamber of Commerce in the following month. Anderson, having looked at the gems, was unsure if the gem was a spinel or something new. Due to taaffeite gems being very rare, it is only ever used as a gemstone. The gem occurs in carbonate rocks along with fluorite, mica, spinel and tourmaline. Taaffeite is becoming more and more common within alluvial deposits in Sri Lanka and Southern Tanzania, as well as the lower grade versions of the gem are found in limestone sediments in China. Taaffeite gems are considerably expensive, with them costing around $500 to $4000 per carat for a clean colourless to mauve stone, which solely depends on the colour strength. However, when compared to such gems like diamonds it s considered rather cheap. One of the largest taaffeite gems to have reached the market was a 33 carat stone which was sold at an auction taken placed in Hong Kong in 1999.